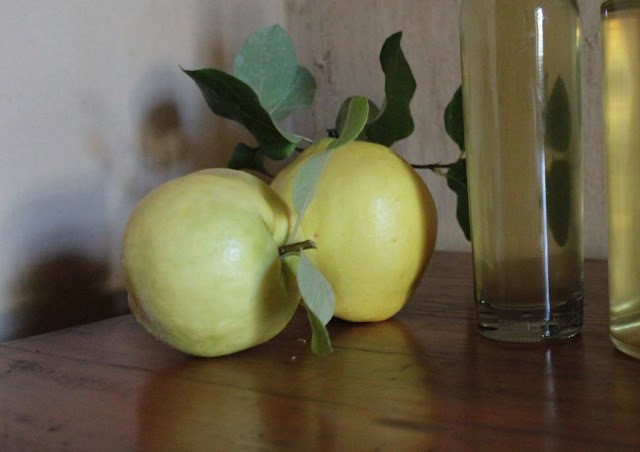 The second fruit I used this early autumn for a liqueur was the quince. I wanted to capture the colour and flavour of the quince. As they quickly discolour once peeled, I had to work very fast. The cooked quince turns pink or red. 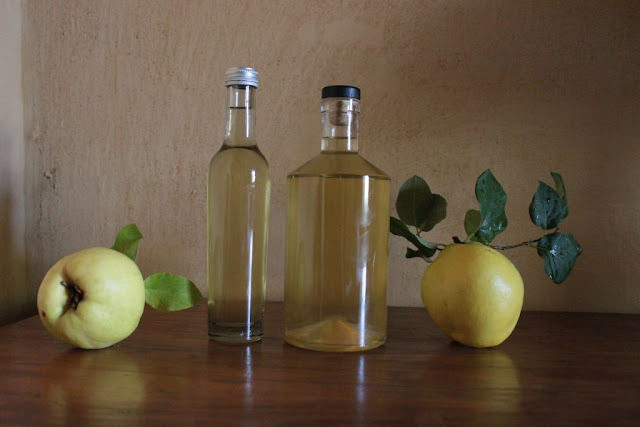 If one wants to make a liqueur capturing that colour, it will be best to cook the quince and make simple syrup with the cooked juice, before adding it to your alcohol of choice. De-core the quinces and set the cores aside. Grate the sliced quinces and add, with the cores, to the glass jar. Add the Vodka and shake well. 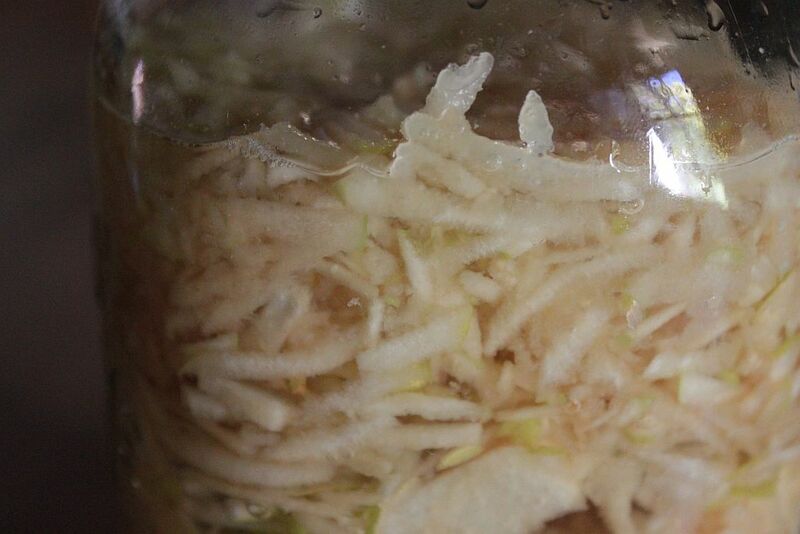 Let the fruit macerate for one month in a cool dry place. When your quince mixture is ready, make simple syrup with 500ml of sugar and 500ml of water. Heat the sugar and water mixture over a low heat. Stir to dissolve the sugar, bring to a boil and take it off the heat. Let the syrup cool overnight. Filter the quince infused Vodka into a glass jar through a double muslin cloth. Add the cold simple syrup and mix well. You can now bottle your liqueur. Let it rest for a couple of days before enjoying. Note: When making liqueur, the sugar syrup will dilute the alcohol content of your fruit infused Vodka. If you want a stronger liqueur use less syrup. 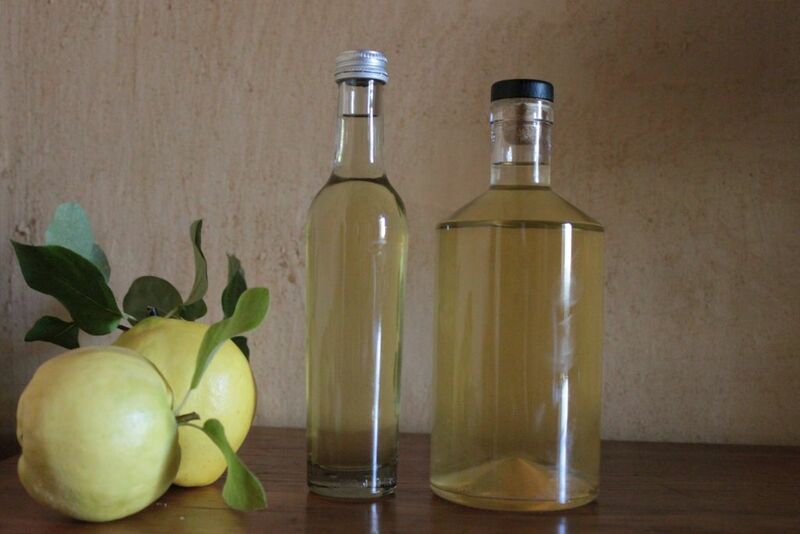 Quince liqueur retains the yellow colour of the quince as well as its tart taste. I like the taste of the quince liqueur and it is a welcome addition to the Towerwater cocktail repertoire. As soon as my liqueur is ready, I intend making a Towerwater Quince and Ginger Martini. I can't wait to try a quince infused cocktail.